RALEIGH, NC – Evelyn Little closed on her new home this month, just a few days shy of her 67th birthday, after deciding she wanted to move to a community full of people at a similar time of their lives. She left a condo at Brier Creek Country Club in favor of a smaller, 1,355-square-foot ranch house in Carolina Arbors, a 55-and-older community a few miles away. These so-called active adult communities allow people of a certain age the opportunity to live in low-maintenance, one-story homes in a walkable neighborhood with trails and parks. The developments also offer activities such as aerobics, pottery and cooking classes to help residents socialize with their neighbors. “And I don’t have to cut the grass,” she said, laughing, because the homeowners’ association cuts it for her. Little, who was the Campus Ministries Coordinator at North Carolina Central University, is fortunate. Unlike some retirees, she could find – and afford – the home she was looking for in the Triangle. As more and more baby boomers turn 65, the demand for housing that caters to their needs is getting stretched. A report released by the Joint Center for Housing Studies of Harvard University last year concluded that the nation as a whole needs a far larger supply of affordable, accessible housing – especially for those with low incomes – that is well-connected to public transportation and other services that seniors need. By 2030, 20 percent of North Carolinians will be 65 years and older – up from 13 percent in 2010. Wake, Johnston and Orange counties will see their older population more than double, and Durham, Chatham and Franklin counties will come close. The hunt for housing for seniors in the Triangle is particularly tough because the region is continuously ranked as one of the top places to live in the country, helping draw more people to the area. New residents come for major universities, a strong job market, a moderate climate, good recreation and entertainment options and access to quality health care. And many retiring adults follow their children. “We’ve really become a mecca for the empty-nester community,” said Brenda Carroll, who owns Total Source Realty, a real estate company in western Cary. The demand is driving up housing costs, forcing lower-income older adults to sacrifice spending on other necessities. In Wake, multifamily apartment rents have increased by 41 percent from an average of $709 per month in 2007 to $1,006 in 2017. Median for-sale housing values have increased 27 percent since 2011, according to county staff. Demand and dwindling land are pushing housing further into suburban areas, where developers can build larger projects. 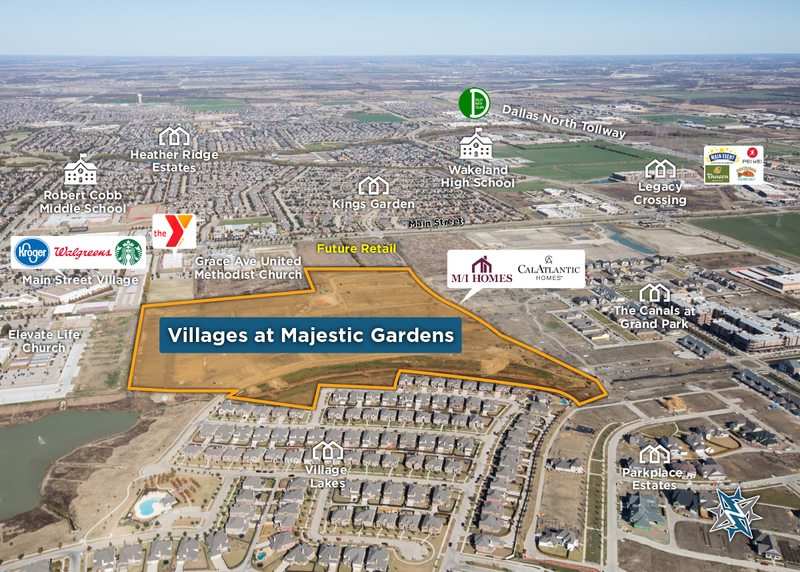 But these suburban developments may not have the same access to resources such as public transit that some older adults, particularly those who no longer drive, are looking for. For decades, home builders have filled the Triangle with two-story homes designed for families. But as their children move out, many Triangle residents 55 and older are looking to move into a ranch or other houses with a first-floor master bedroom, real estate agents say. They often look for homes that will require minimal upkeep both inside and out. These homes can be found en masse in places like 12 Oaks in Holly Springs and Del Webb’s Carolina Preserve in the Chatham County portion of Cary. But they’re rarer in more established areas of Cary and Raleigh, where the cost of land is too high for developers to build single-story homes. “If you are looking for new construction in certain areas where we are running out of land to develop, typically the options are more in a townhouse or attached dwelling or a much smaller lot than they might otherwise want,” Keith Bliss, owner of Bliss Real Estate – powered by eXp Realty. Developers are trying to keep up with demand for senior housing. 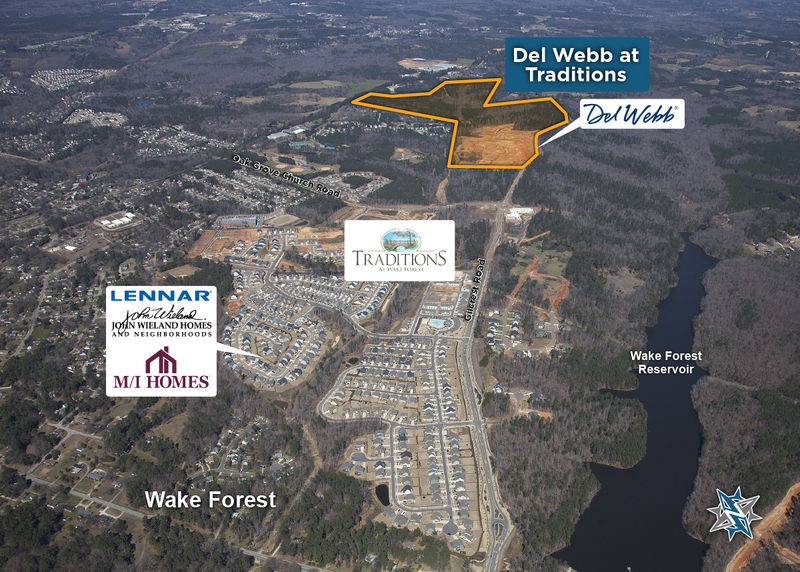 Carolina Traditions, a Del Webb community, is expected to open in May in Wake Forest and eventually bring 452 homes to the site. But in a crowded market, costs are rising. While an entry-level home in Carolina Arbors is priced in the mid-$200,000s, the entry price for Carolina Traditions is expected to be in the low $300,000s. 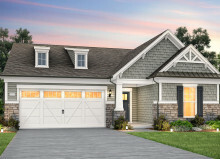 Meanwhile, home builder Toll Brothers constructed ranch homes in Regency at White Oak Creek, a community off Green Level Church Road in western Cary, starting at $409,995. Once these neighborhoods are built out, turnover is low because residents are living longer. And when they do go up for sale, they don’t stay on the market long and sell at higher and higher prices. For example, in 2014, the year after Carolina Preserve was completed, 53 of the more than 1,360 homes were resold and were on the market for an average of 37 days. In 2015, resales dropped to 48 and took an average of only 12 days. Meanwhile, the prices jumped 12 percent to $187 per square foot in 2015. Because of increasing home prices, many people are opting to stay in their homes, outfitting them to suit their needs, or purchase an older home and renovate. “We are seeing a big resurgence in neighborhoods that in the past were forgotten about or not very attractive,” Bliss said, citing downtown Cary as an example where people are choosing to renovate. All of these factors come together to make the hunt for the ideal retirement home more difficult, and expensive. 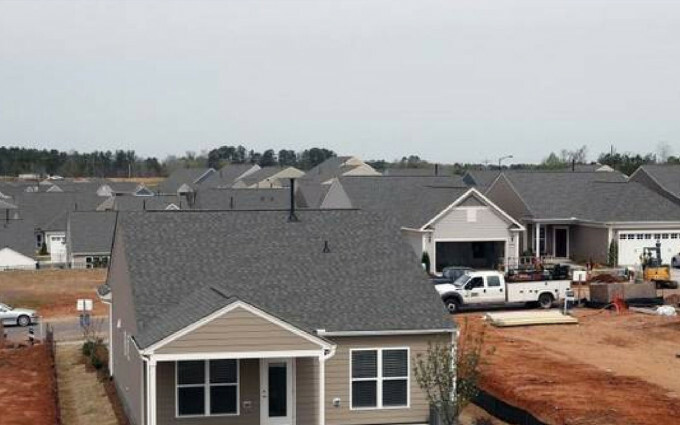 Carroll is among the buyers who look to outlying areas such as Holly Springs, Apex or Garner to find the type of home they were looking for at a more affordable price. After living in western Cary for 20 years, she and her husband could not find the one-and-a-half story home they were looking for and instead moved to 12 Oaks in Holly Springs, even though she travels to Cary every day.